The crucial role of indigenous knowledge for achieving the Sustainable Development Goals (SDGs) and for addressing the most pressing global problems is gaining international traction. 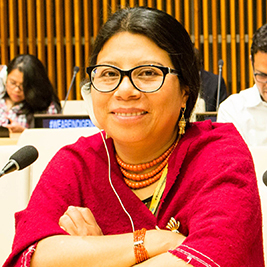 Ahead of the UN Permanent Forum on Indigenous Issues later this month, we spoke with Chandra Roy-Henriksen, Chief of the Secretariat of the UN Permanent Forum on Indigenous Issues. What are some of the threats for traditional knowledge? What can be done to protect it? “Centuries of history of discrimination, exploitation, dispossession and colonization have led to the loss of traditional knowledge. Traditional knowledge is under threat and is being misused and misappropriated. How can the traditional knowledge of indigenous peoples benefit everyone? How can it help us achieve the Sustainable Development Goals? “Indigenous peoples’ traditional knowledge has been developed over generations through daily life practices and a close understanding of local environments. It can offer valuable responses to climate change, food insecurity, reducing inequalities and other challenges that we are trying to resolve through the Sustainable Development Goals. Traditional knowledge offers tremendous opportunities in such areas as land management, conservation, and scientific, technological and medical research. How is traditional knowledge generated and transmitted through generations? “A product of learning through experience and oral traditions passed over centuries, indigenous traditional knowledge is generated, transmitted, and strengthened through rituals, metaphors, proverbs, songs, oral history, human interactions, ceremonies, languages, experiences and practices. Protecting indigenous languages is fundamental to preserving traditional knowledge. It is through indigenous languages that this knowledge is generated and transmitted. Yet today, close to 2,700 languages are estimated to be in danger of disappearing forever. If we lose them, we also risk losing invaluable knowledge that could have provided answers to some of the world’s greatest problems. What can we expect of the upcoming UN Permanent Forum on Indigenous Issues? “The theme of the 2019 session of the Permanent Forum on Indigenous Issues is: ‘Traditional knowledge: generation, transmission and protection.’ Countries and indigenous peoples will come together to identify and share good practices that advance indigenous peoples’ rights. It will also be an opportunity to recommend actions that promote and protect indigenous peoples’ rights and preserve their traditional knowledge. Can humans use the ocean as a tool for lifting people out of poverty, all the while protecting its valuable ecosystems? Certainly, say proponents of the growing sustainable blue economy movement. The first-ever Sustainable Blue Economy Conference, held in Kenya in November 2018, brought together thousands of ocean experts and activists to discuss how to sustainably use our ocean. The concept is gaining momentum , including at the highest levels of decision making. In September, 12 heads of state from around the world and the UN Secretary-General’s Special Envoy for the Ocean, Peter Thomson, launched the High-level Panel for a Sustainable Ocean Economy to catalyse bold solutions for ocean health and wealth. 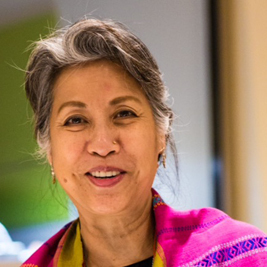 We asked Madhushree Chatterjee, Chief of the Natural Resources and Interlinkages Branch of UN DESA’s Division for Sustainable Development Goals to give us her impressions of this growing movement. 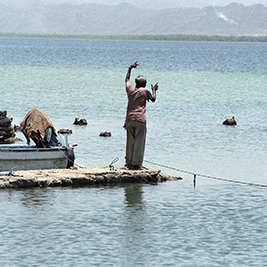 What do we mean by a “blue economy”? How can building a blue economy help us achieve the SDGs? Why is a healthy ocean so important for current and future generations? What can we do to improve our ocean’s health? 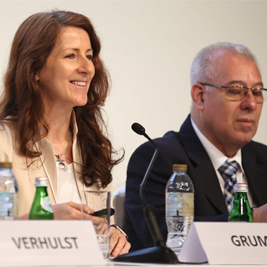 What did the recent Sustainable Blue Economy Conference achieve?